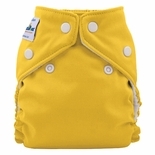 Fuzzibunz Cloth diapering can be a beautiful experience today with the help of loads of information on the market nowadays. You can find a lot of resources to help you digest the information and get the right tools and knowledge to successfully cloth diaper your baby, saving you money and resources. Why choose fuzziBunz? FuzziBunz diapers have a SUPERIOR FASTENING SYSTEM. Their durable snaps stay strong wash after wash. You can use the same FuzziBunz for all your babies without worry of the breaking snaps. Unlike diapers with Velcro fasteners, there is no fraying or sticki; on your baby's diapers after washing. They are made to last you through years, saving you a lot of money. 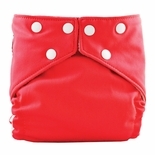 FuzziBunz diapers are known for its' features like "stay dry pocket", Adustable waist and leg settings, reinforced leg casings and more. They have been manufacturing cloth diapers for 10+ years. Parents have it easy when it comes to choose diapers from FuzziBunz because the selection is not to big neither to small, just right. EASY TO STUFF AND UN-STUFF, you just insert the terry cloth and shake it out over diaper pail when needed.